By filling out the form or calling 1-800-450-5319, you can get your FREE quote on auto transport to Bangladesh as well as more information about A1 Overseas International! With any international auto transport, there are rules and stipulations that apply to U.S. citizens attempting to export their vehicle. Shipping an auto to Bangladesh is no different and will require attention to the country’s auto import conditions. 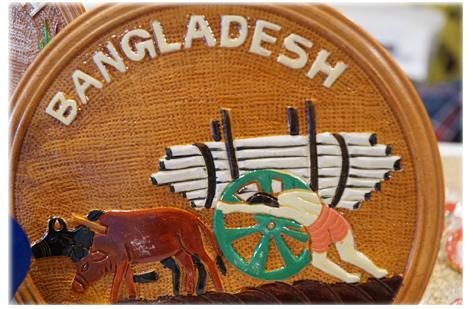 By contacting Bangladesh Customs after you book your shipping date through A1 Overseas International, you will learn of all the things that must be addressed before a vehicle is cleared and allowed to be transported. Every country has different vehicle import laws. For example, Bangladesh prohibits vehicle import on automobiles older than 4 years of age. The process of getting cleared for auto shipping to the country may take a month, so be sure to start preparing immediately. Gather all of the proper documentation and pay all tariffs well in advance to the shipping date scheduled. Duties can be costly, but diplomats and privileged persons can import vehicles duty free. What Should I Know about International Auto Transport? International auto transports involve a lot of preparation and attention to detail. A shipping company with the right qualifications to carry out vehicle shipping overseas will understand the ins and outs associated with the process of shipping from the U.S. to whatever country the vehicle is to be transported to. You will have the ability to choose a preferred shipping method as well as what features you desire for your vehicle’s shipping process to Bangladesh. Auto transport companies are required to carry insurance coverage for every vehicle in their care. This offers added protection to assure a safe arrival. Companies familiar with international auto shipping will be able to help you prepare the vehicle for clearance through Customs. By calling 1-800-450-5319 or filling out the form provided, you can receive your FREE quote and receive more information on boat, motorcycle, car shipping and other international auto shipping !